When the makers of the biopic were looking to cast the title role for the film, which was one of the most crucial decisions, Dhoni himself recommended a name. He recommended Sushant Singh Rajput‘s name to play him in the film. He had seen Kai Po Che and Shuddh Desi Romance earlier and both the films connected very well with him. He felt that no other youngster is in the space to do a realistic biopic. Moreover, there are a lot of similarities between Dhoni and Sushant too, in the kind of journeys they have had. 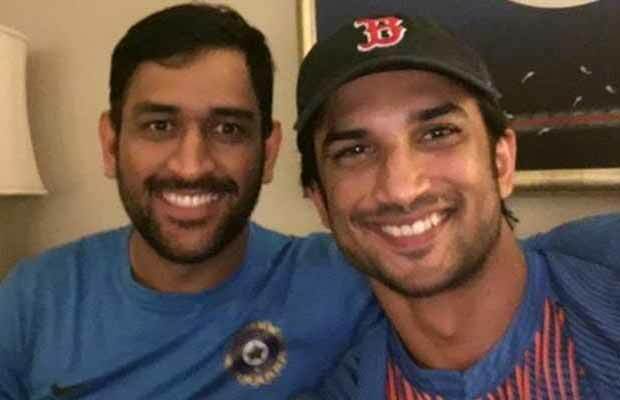 Hence, Dhoni felt that Sushant is the best choice to play this character. The makers too were very happy with the choice and made the film with Sushant. Sushant has proved them absolutely correct with the kind of performance he has given to the film. He literally gave his blood and sweat to the film. Now even the audience believe that he is the best choice for the role. Dhoni fans are showing towering excitement for the film to release. Helmed by ace director Neeraj Pandey, produced by Arun Pandey (Inspired Films) and Fox Star studios, the film is all set to release on September 30th, 2016. Previous articleWhy Is Sushant Singh Rajput Behaving Like A Stalker?